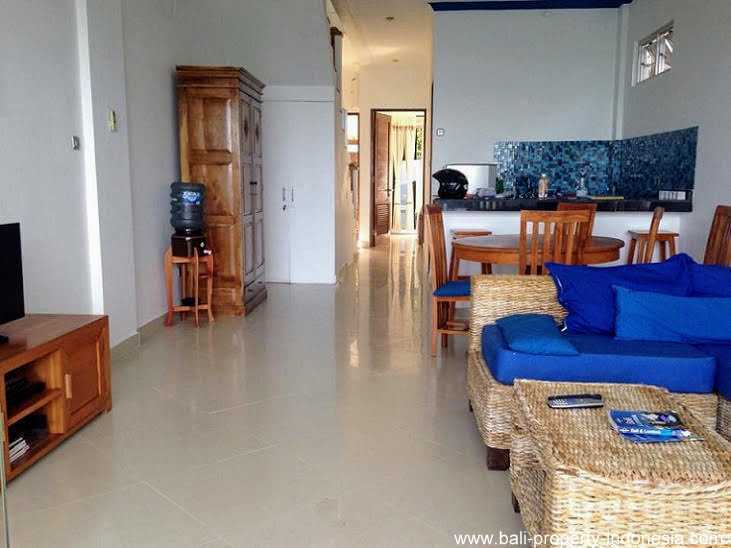 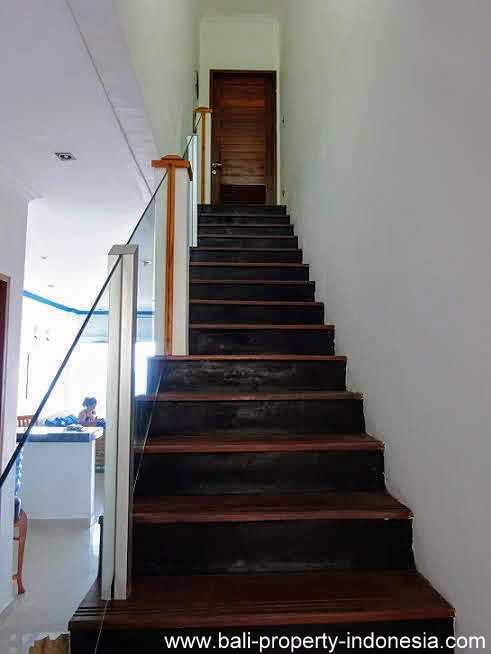 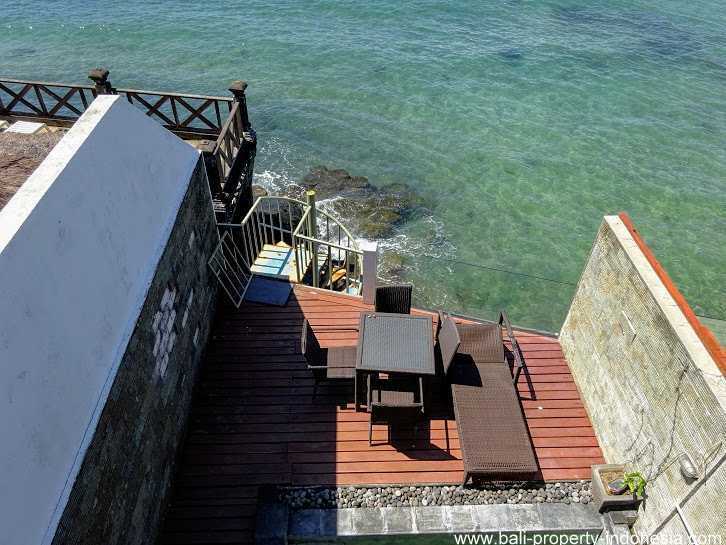 This absolute oceanfront house is having 3 bedrooms, spread over 2 floors. 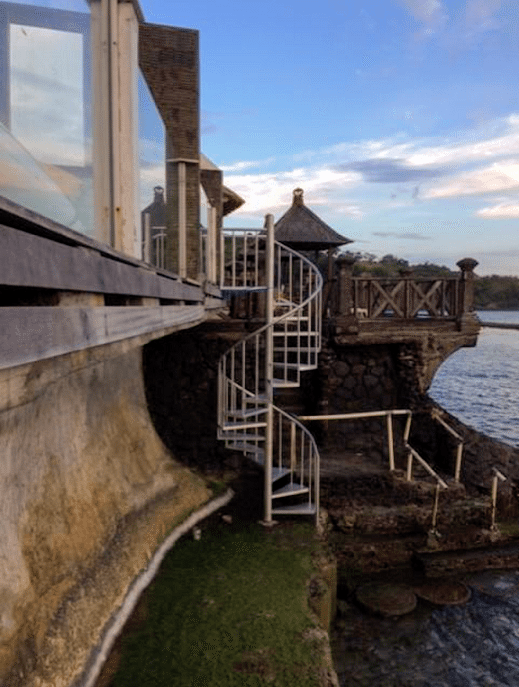 A house with a terrace ending directly at the ocean. 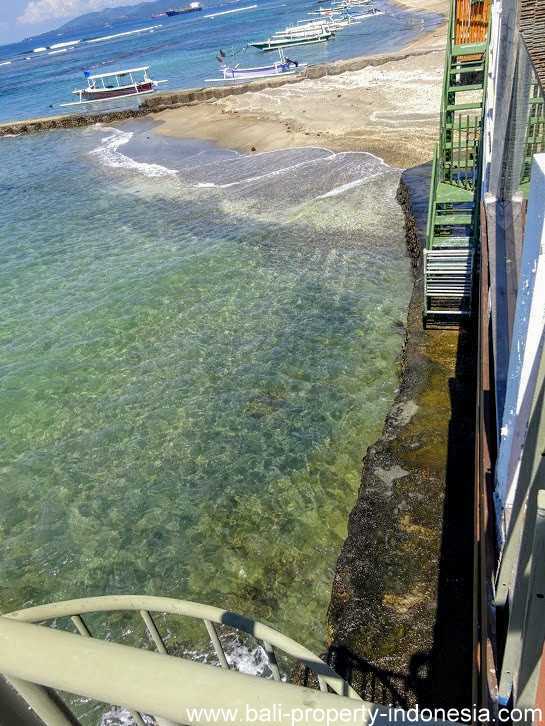 From the terrace you can take the stairs down and directly dive in the turquoise colored sea in front of you. 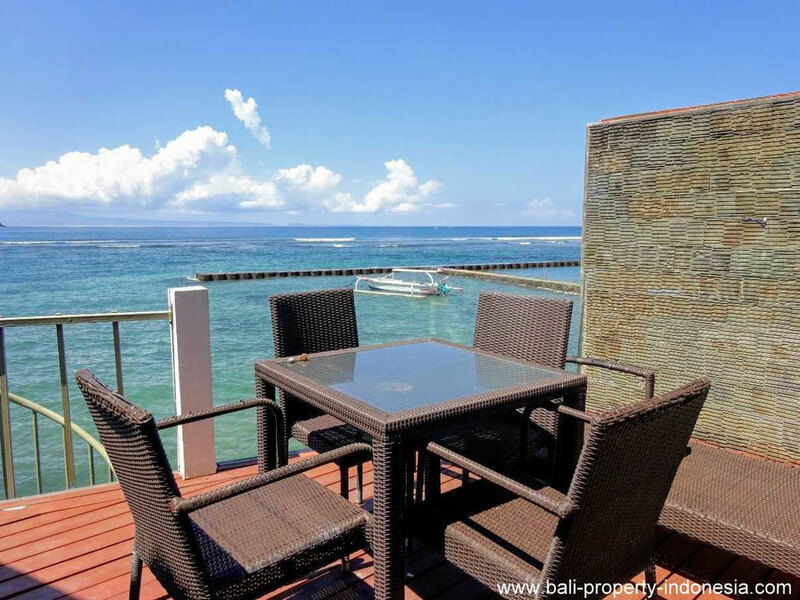 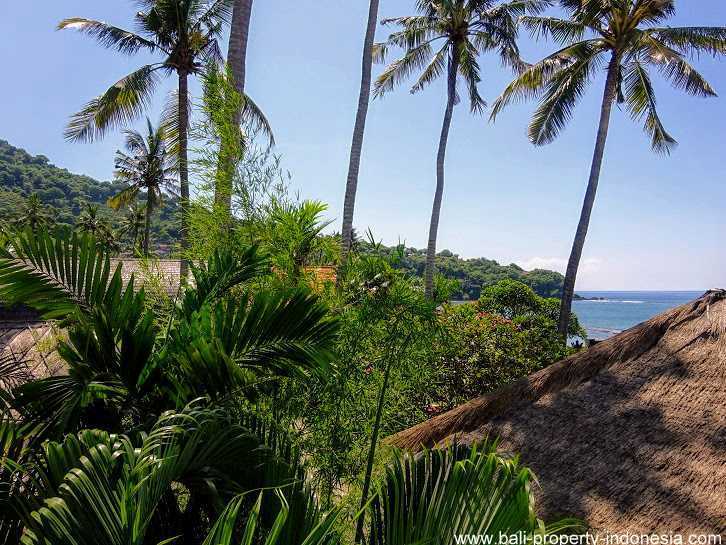 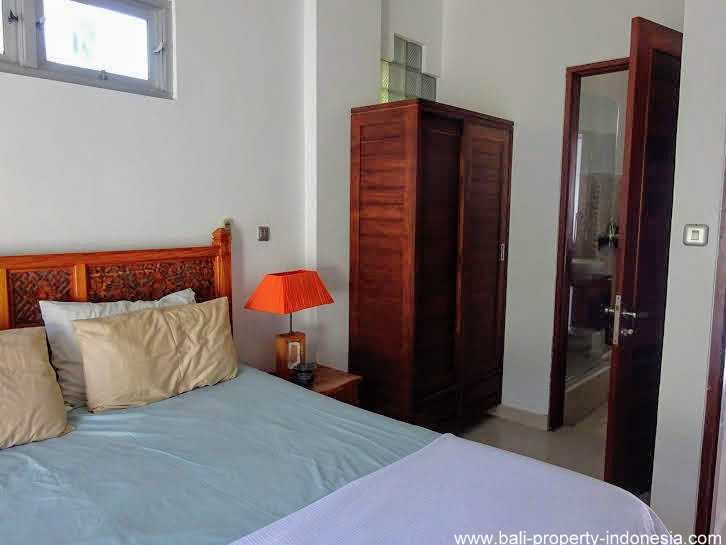 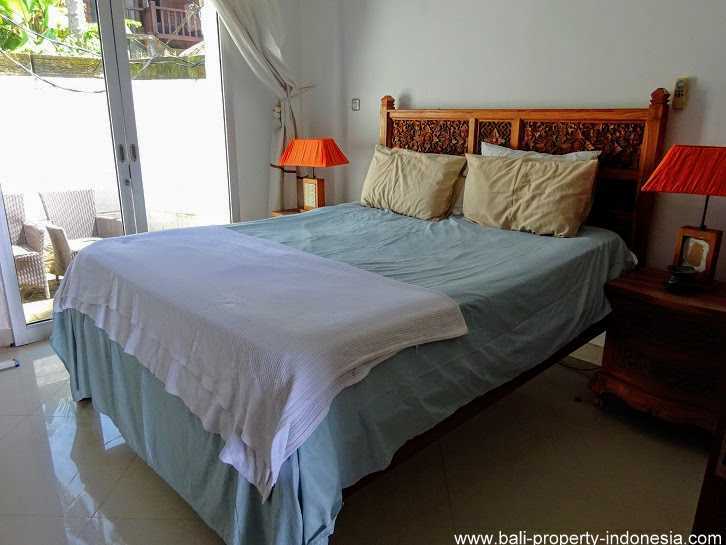 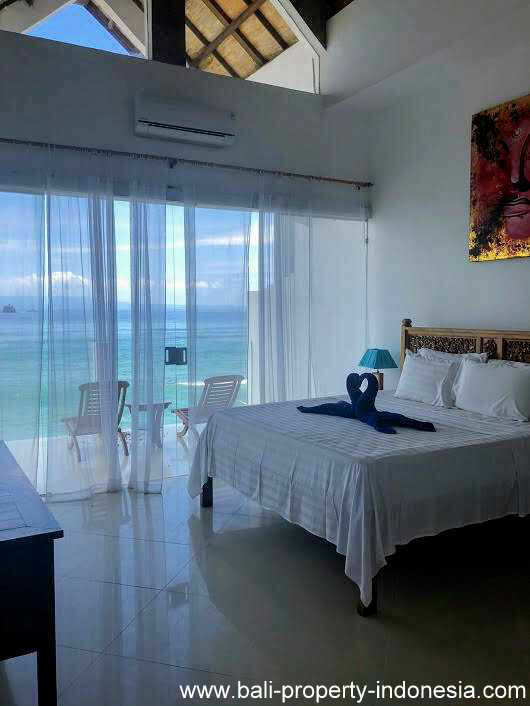 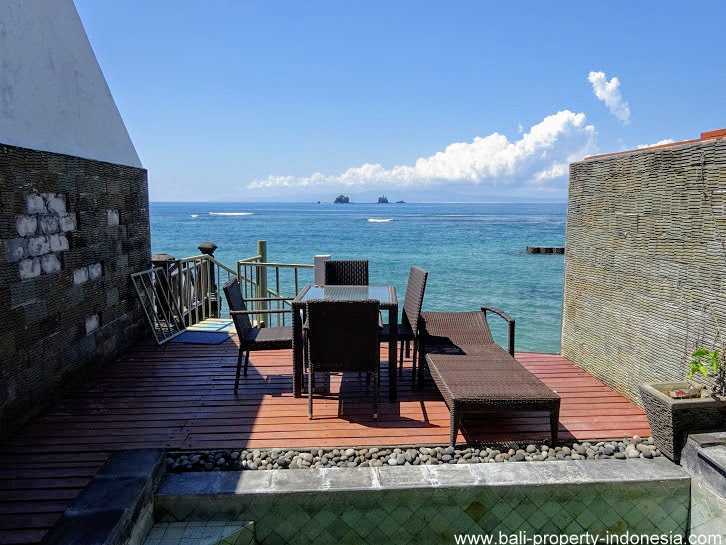 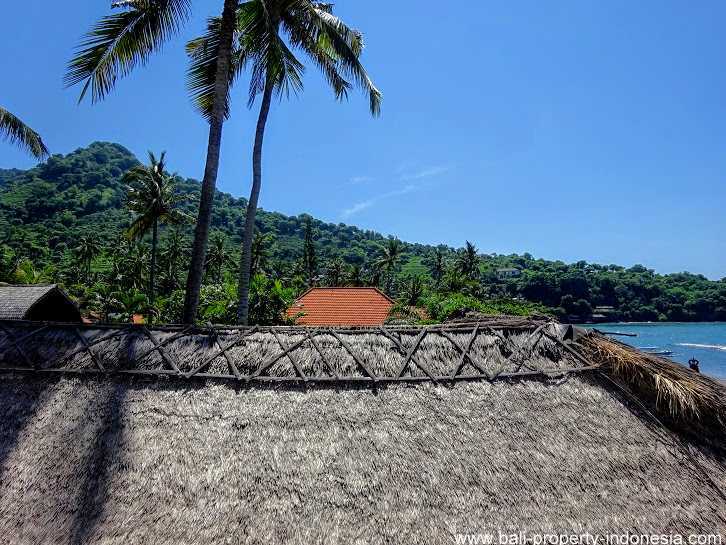 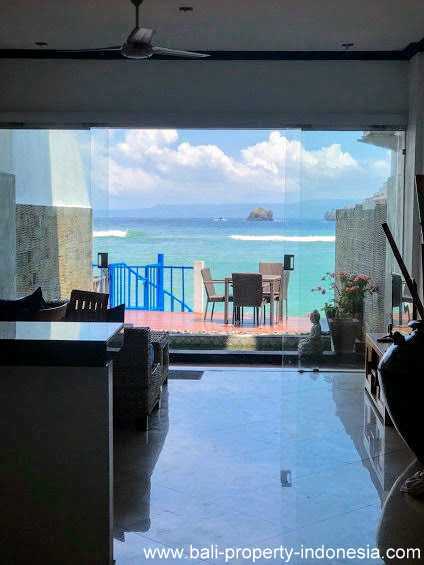 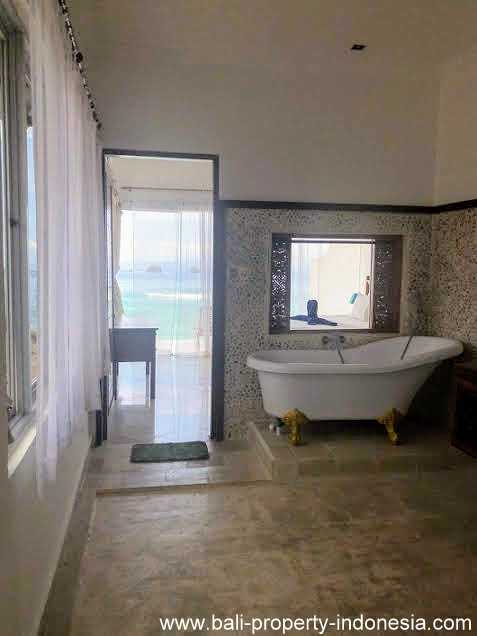 On the ground floor of this oceanfront property, you will direct after entering on your left side a spacious bedroom including a small outdoor terrace. 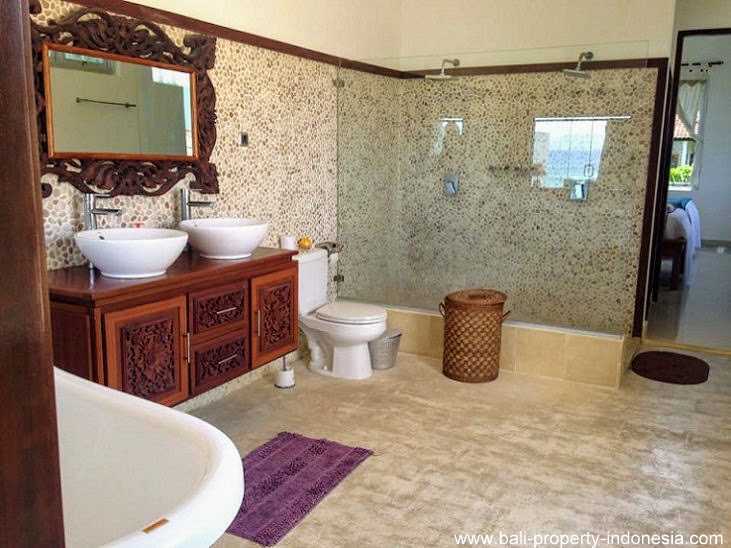 This bedroom is having its own en-suite bathroom. 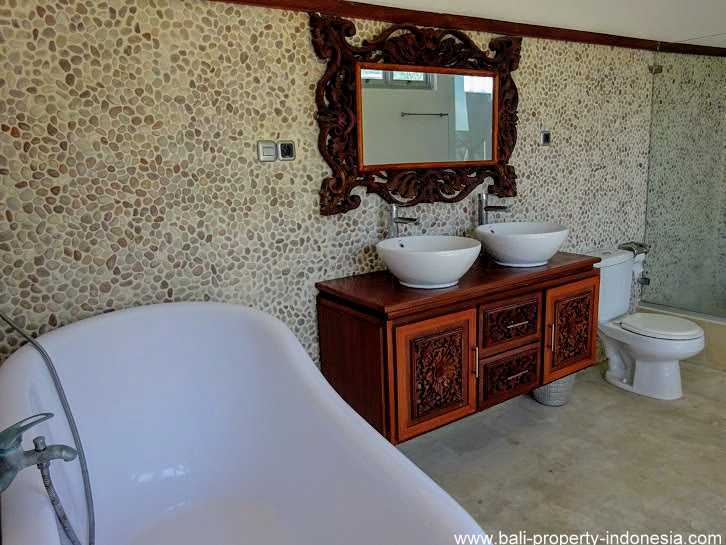 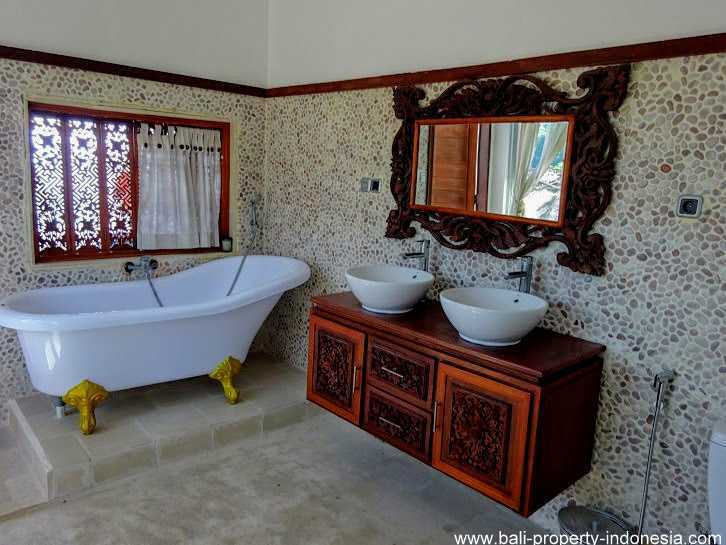 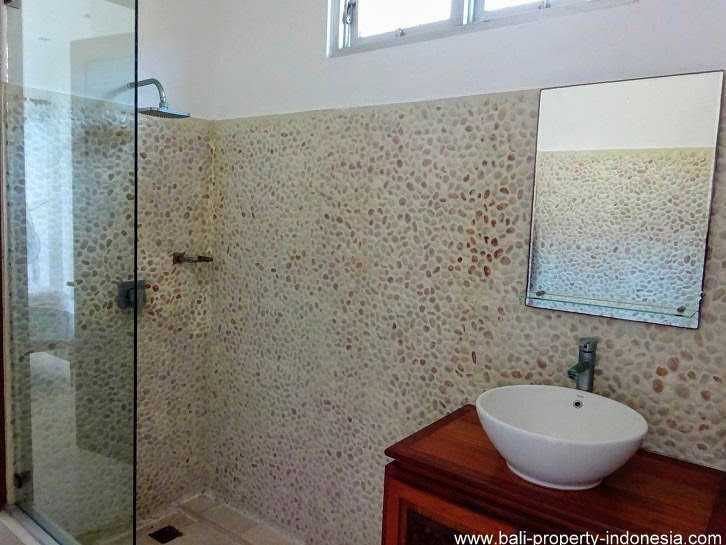 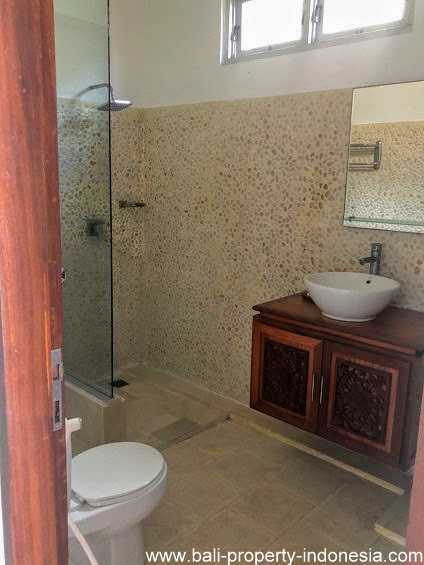 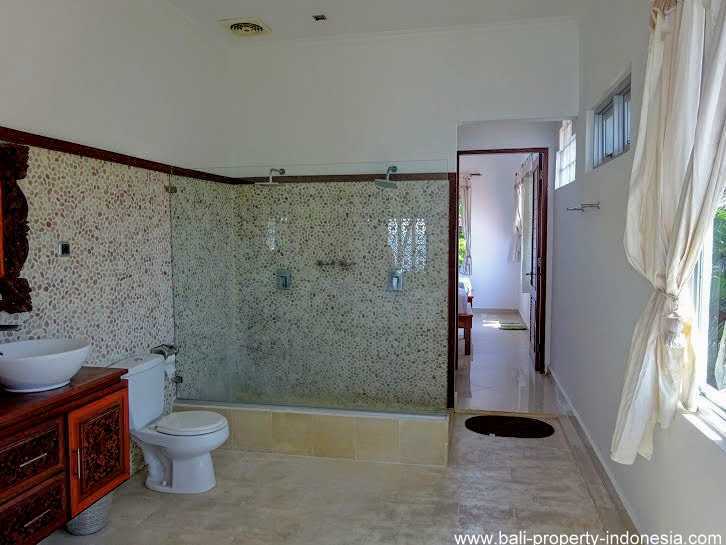 The living room can be found just after this bathroom. 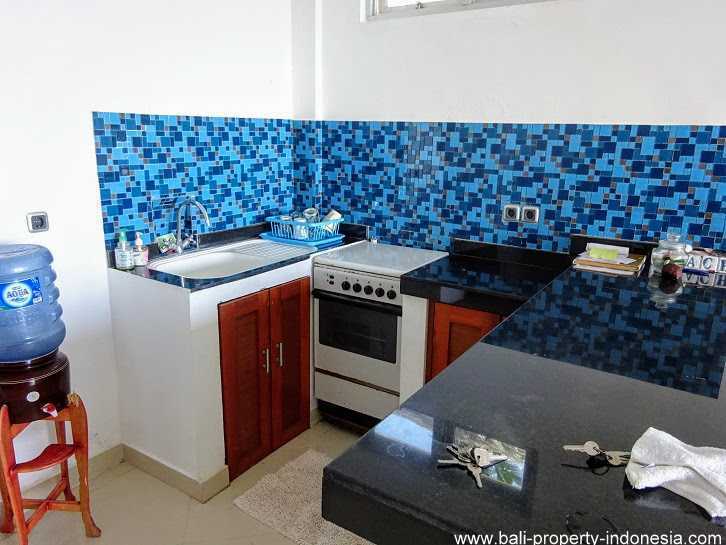 In the corner of this living you will have small open kitchen. 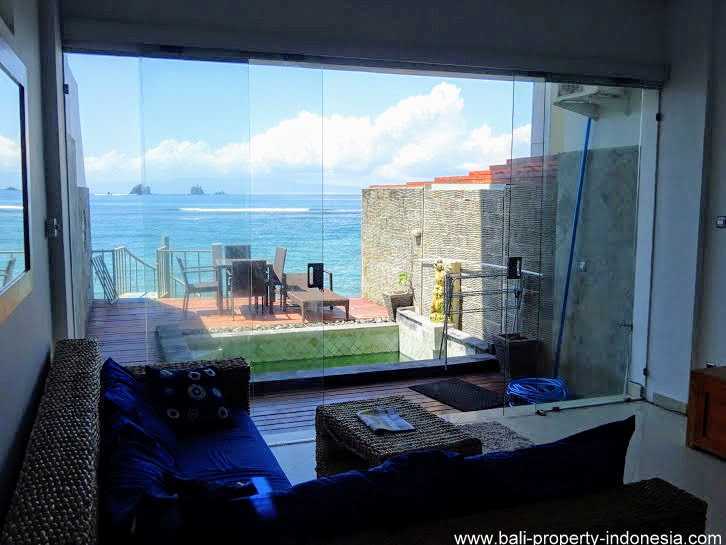 The large glass frontage of this living is giving views over the ocean. 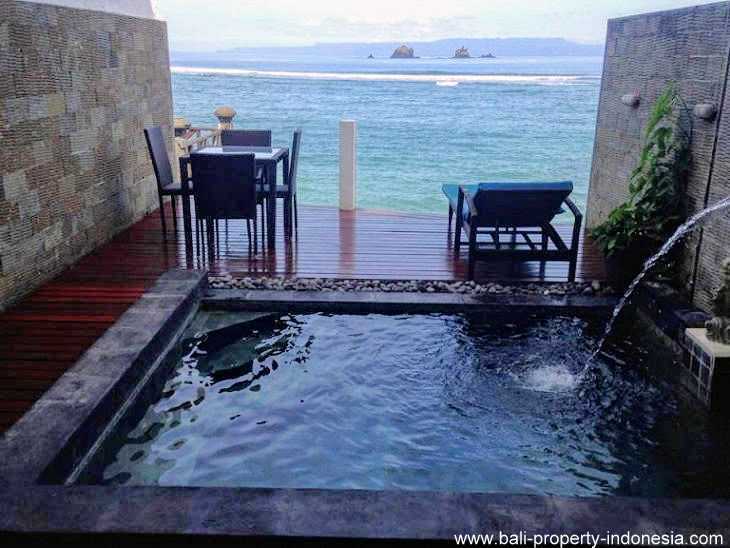 In front of the living room is a terrace including a small plunge pool. 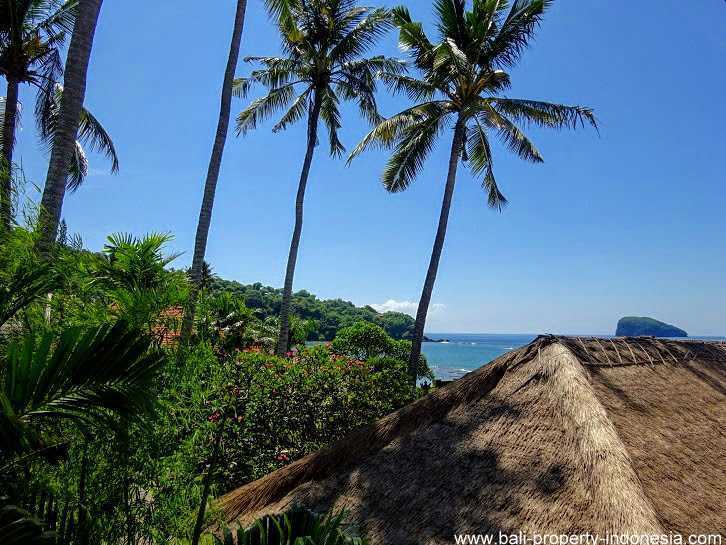 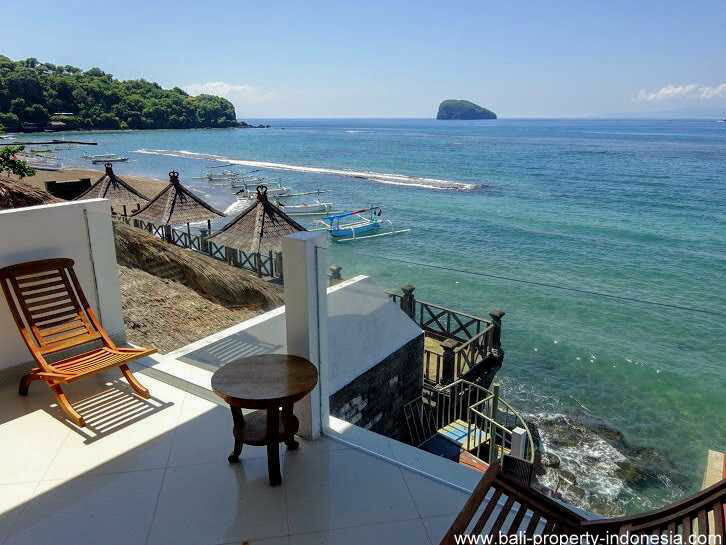 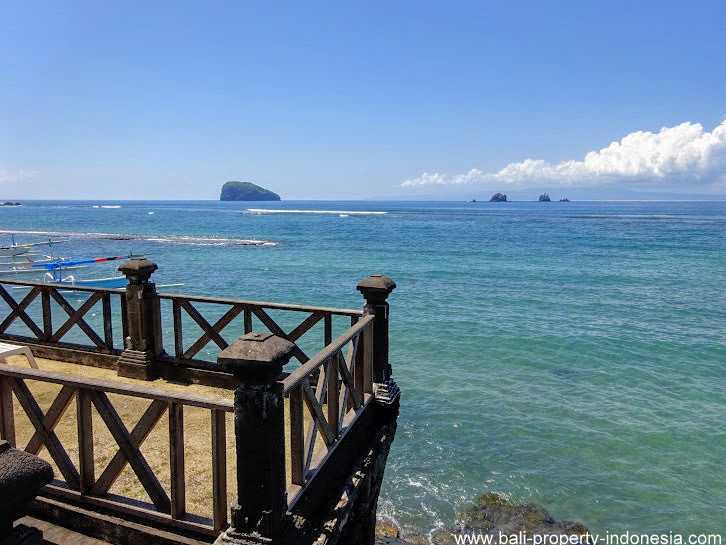 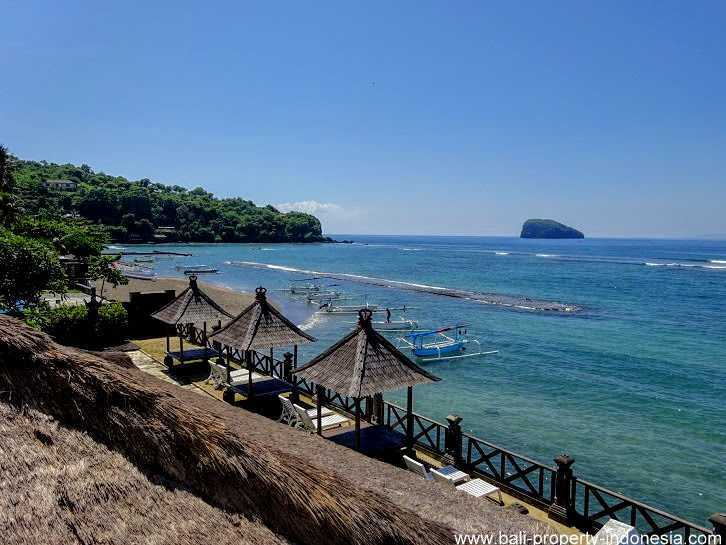 Sit on the wooden terrace and enjoy from here the beautiful sunsets Candidasa has to offer. 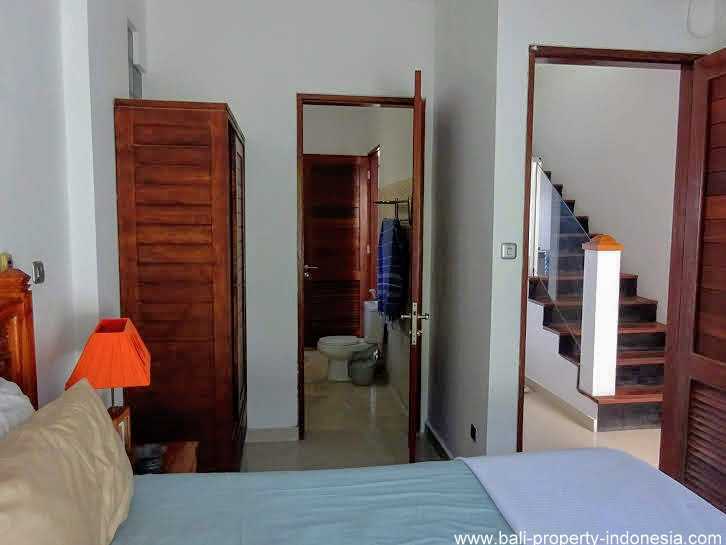 On the first floor you will find the master bedroom. 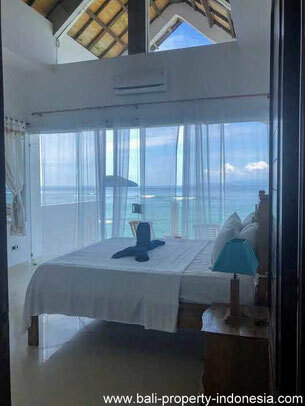 Also this bedroom is having a large glass wall making it possible to enjoy the pleasant view over the ocean from your bed. 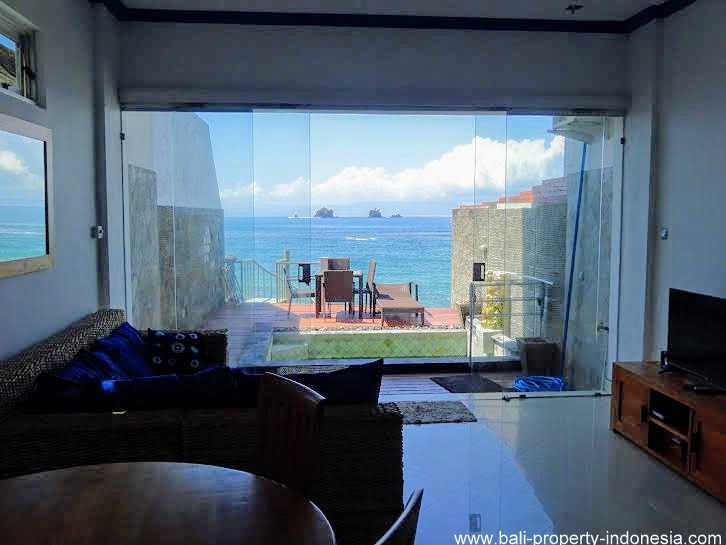 Sliding doors are giving access to the balcony where you will find an additional terrace. 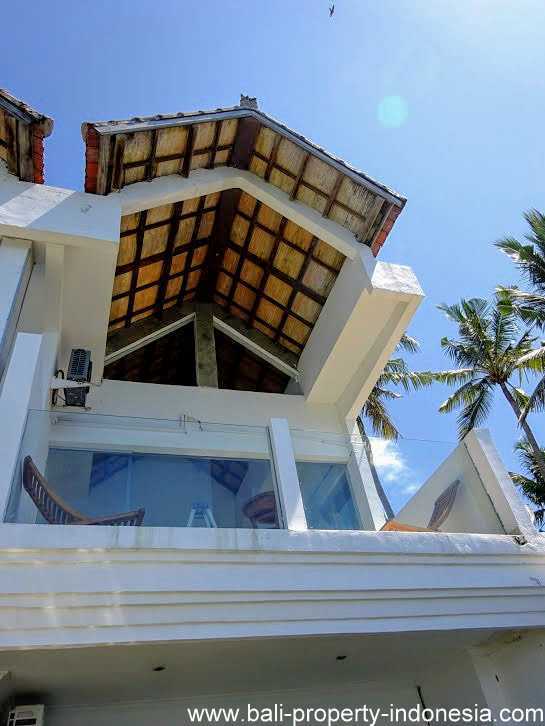 The entrance of this oceanfront house is shared with an hotel. 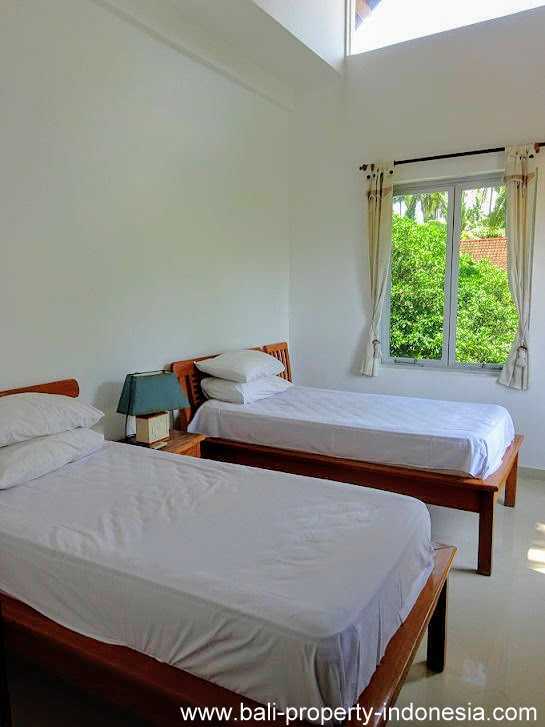 A rental license is available for this property, shared with the hotel. 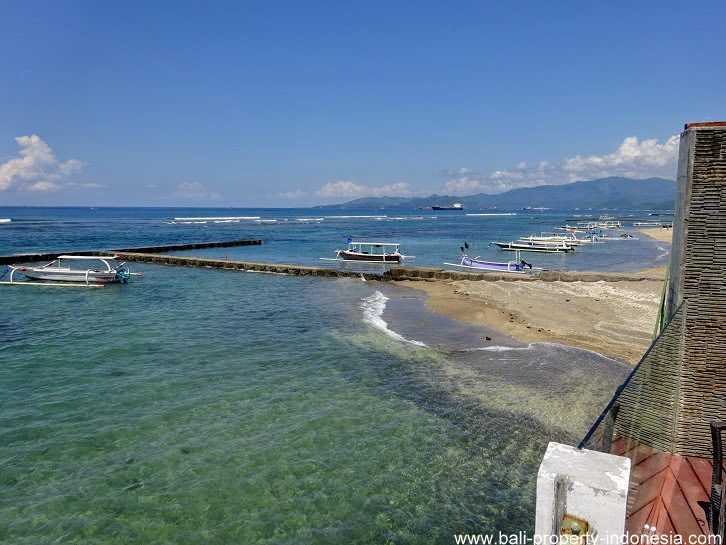 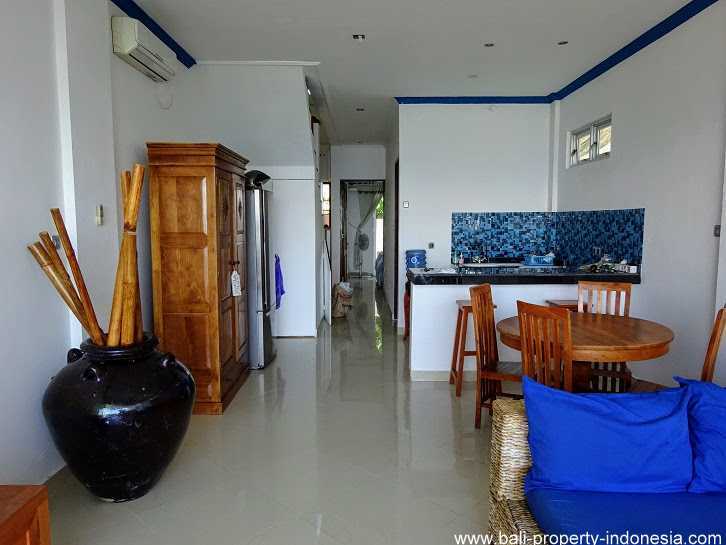 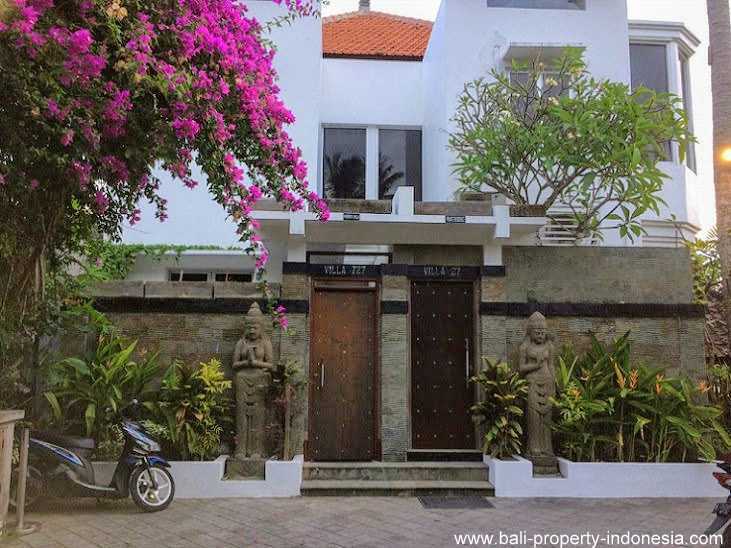 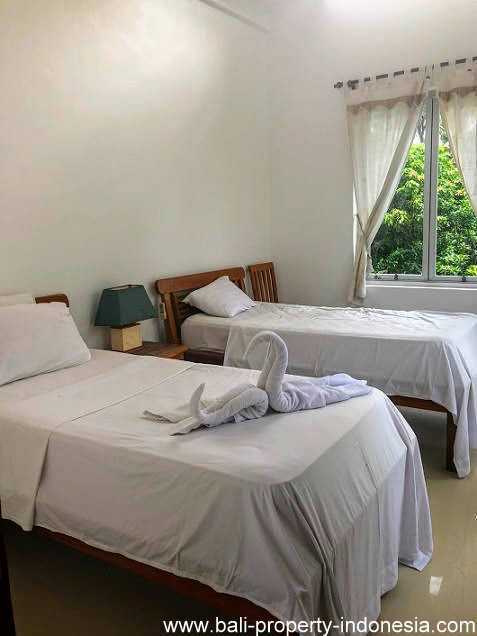 The house is located on a walking distance from Candidasa center. 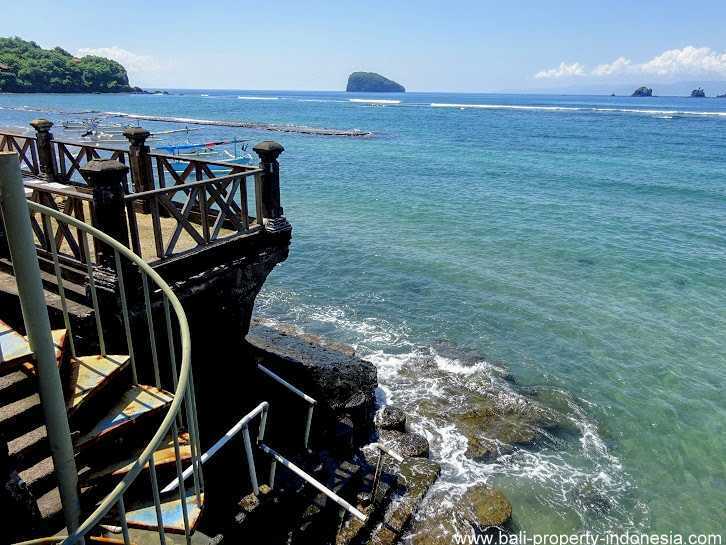 It takes about 10 to 15 minutes walking to get to the beginning of Candidasa. 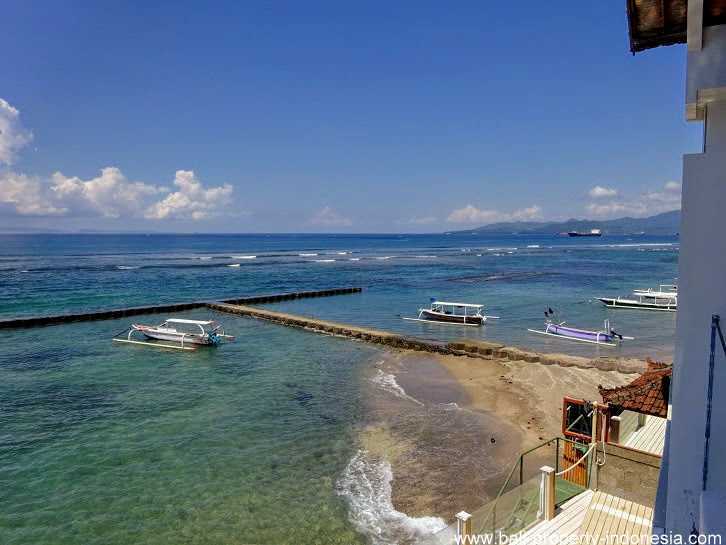 In Candidasa you will find several restaurants and mainly local shops. 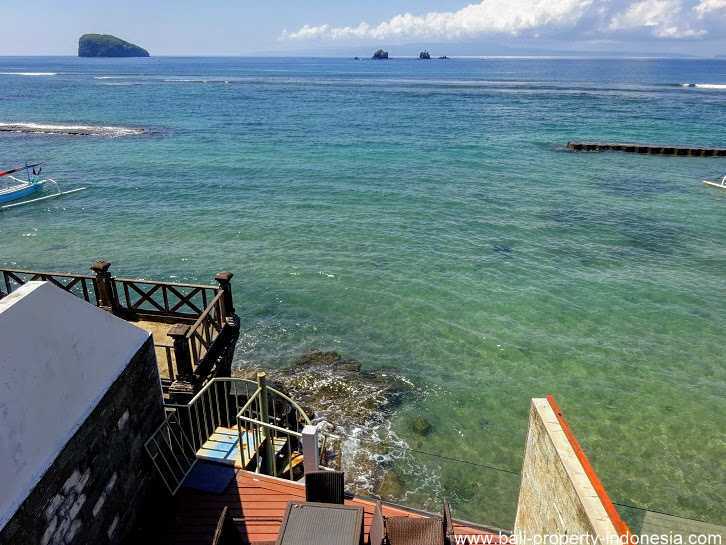 Are you looking for an affordable oceanfront property with the possibility to dive into the ocean, then this can be your future home. 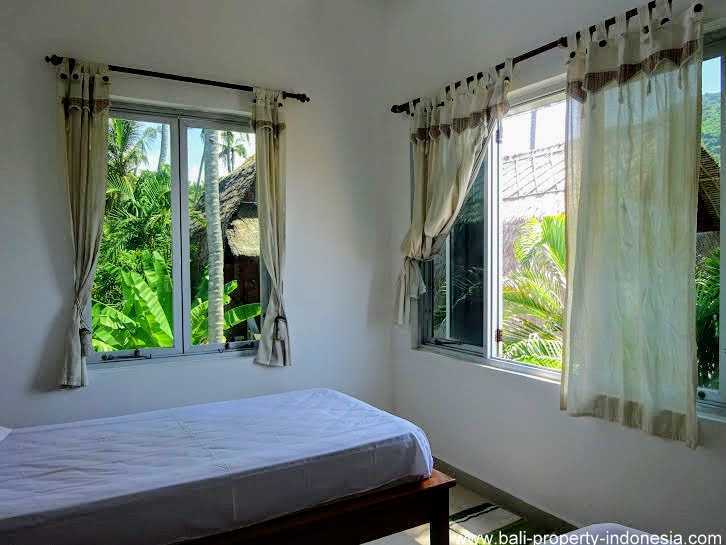 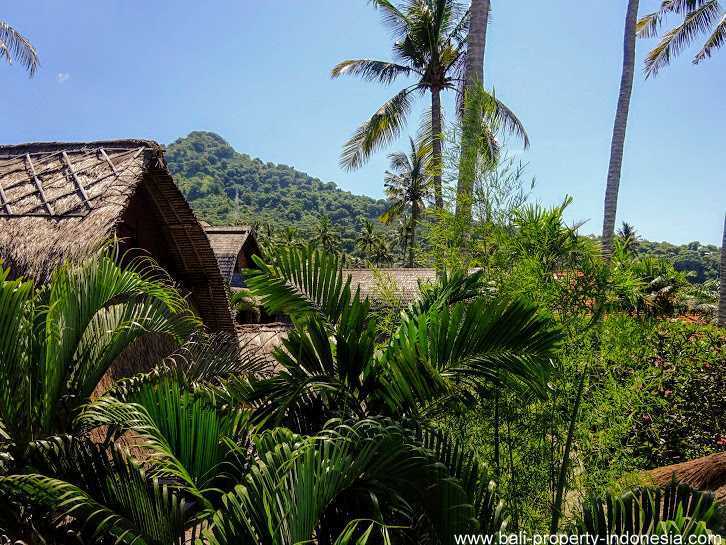 A comfortable house with beautiful views and located in a quiet location, still not too far away from restaurants and shops.